for starting c# win form it is best to start with a common easy desktop application. 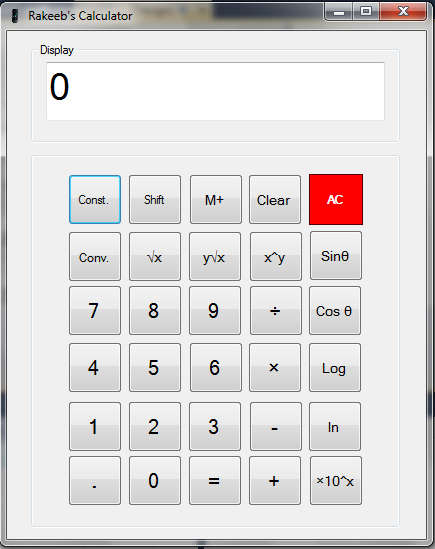 here Rakibe kuet eee 06 design a calculator for starting win form application. This entry was posted in C#, Winform app and tagged calculator design c#, design c# winfor calculator, free calculator template in c# winform, winform calculator, winform designer source code. Bookmark the permalink.